When one reads atheist blogs written by authors who live in the U.S., one can count on hearing quite a bit about a certain type of Christian. One hears mostly about the evangelical fundamentalist Christian who hates LGBT persons and atheists, clings to a particularly angry form of conservative politics, and seeks to dismantle separation of church and state by persuading our government to impose his or her religious dogma in such a way that it restricts our rights. It makes sense that one would hear so much about this sort of Christian. After all, most of us consider such Christians to be a threat to virtually all we hold dear. In this post, I want to mention a very different sort of Christian. I was recently asked by a friend whether I was ever tempted to return to Christianity after all these years (nope) and what sort of Christianity I found most appealing. That's an easy question if I think about the sort of Christian I find most appealing rather than running the risk of getting bogged down in various denominations, dogma, faith, and the like, none of which is particularly appealing to me. The sort of Christian I find most appealing and the one which I believe makes the strongest argument for the value of his or her form of Christianity is one who disregards the Old Testament as metaphorical and as having little relevance to our modern world, focusing instead on the example of the Jesus character described in the Gospels. This Christian reads about the words and deeds attributed to Jesus with little, if any, interpretation. That is, he or she makes no attempt to force Jesus to fit into his or her worldview but takes the words at face value. For example, the Jesus character is described as a friend to the poor. This Christian assumes that Jesus was in fact a friend to the poor and sees no reason to distort this into something easier to reconcile with capitalism. 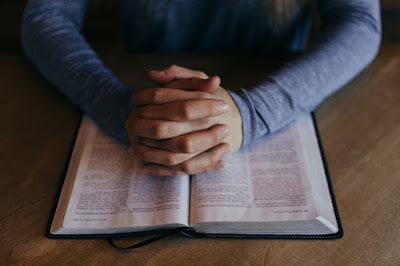 This Christian has no use for Bible study and little use for clergy because he or she is perfectly capable of reading the words and understanding their meaning. The sort of Christian I have in mind uses the example set by the Jesus character to guide his or her values and behavior, aspiring to the moral virtues and avoiding what was condemned. At the same time, this Christian recognizes that the answers to most modern questions will not be found in his or her Bible. The best this Christian can do, then, is to review the example of the Jesus character, abstract the general principles, and seek to apply them in his or her daily life. This Christian is not perfect and will stumble from time-to-time, but he or she is persistent. This inevitably results in a Christian who is non-conventional in many respects. This should not be a surprise given that the Jesus character was a social reformer and a bit of a revolutionary. This Christian is not content with the status quo but is an advocate for the less fortunate among us. This Christian is a social change agent with the goal of improving the lives of others. In addition to being somewhat of an outsider in this more general sense, this sort of Christian regularly speaks out against the evangelical fundamentalist Christians who he or she perceives as distorting the core messages of Christianity, as making Christians look bad, and as undermining social progress. When this Christian encounters the fundamentalist messages of hate and fear, he or she expresses disagreement and explains why such messages are wrong. On many issues (e.g., secularism), this sort of Christian ends up on the side of atheists rather than that of Christian fundamentalists. No matter what this Christian believes about heaven and hell, he or she understands that the decision about who ends up where will be made without his or her involvement. Thus, he or she does not condemn others to hell. At the same time, this Christian understands that the best way to evangelize is simply to live well and serve as an example to others. Do Christians like this actually exist? Sure they do! I've had the good fortune to know at least a few of them. They seem rare, and I suspect they are relatively uncommon. When I encounter atheists on social media condemning all Christians, I remind myself that there are Christians out there who I admire and respect. These Christians have little resemblance to the ones some atheists are so fond of condemning. They are not going to bring me back to Christianity, but I can acknowledge that there are some aspects of how they treat others from which some atheists might be able to learn. The good news for atheists, and one of the reasons that Christianity itself holds little appeal for this atheist, is that Christianity is not a necessary condition for one to behave as the appealing sort of Christian I have described here. I have known a few Christians like this, but I have also known a few atheists like this. One can treat others charitably without being Christian. Neither Christianity nor atheism by themselves seem to tell us much about how someone is inclined to treat others.